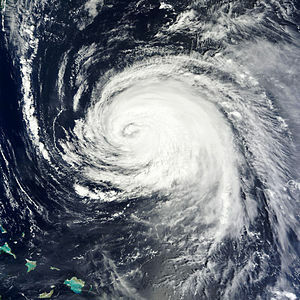 The Perfect Storm of 2012? Could Hurricane Sandy, winter storm hybrid, be worse than the “Perfect Storm” of 1991 that slammed the East Coast? Some meteorologists believe so and have grown increasingly concerned, as Hurricane Sandy made landfall Thursday in Cuba and already turned deadly in the Caribbean. Much of the U.S. East Coast has a good chance of getting blasted by gale-force winds, flooding, heavy rain and maybe even snow early next week by an unusual hybrid of hurricane and winter storm, federal and private forecasters say. Government scientists said Wednesday the storm has a 70 percent chance of smacking the Northeast and mid-Atlantic.